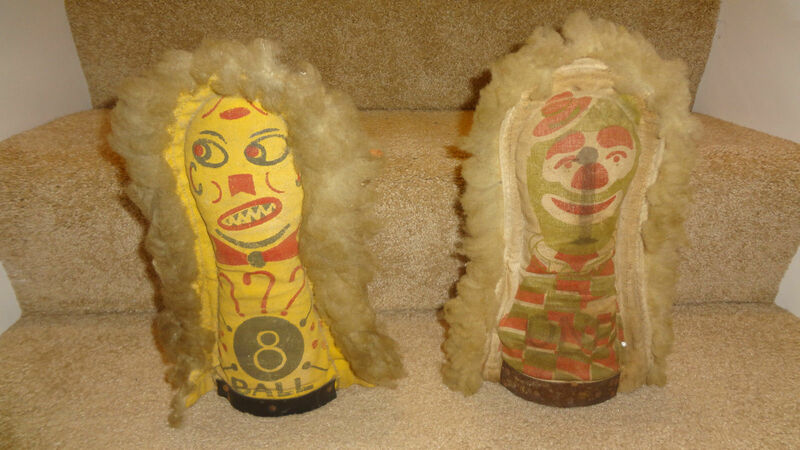 Pair of antique circus punk knock down dolls doubled sided. Very Good condition. 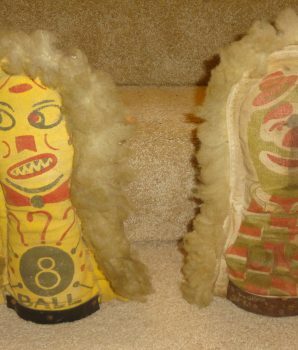 These dolls are used originals and have seen some action over the years. Some bumps and brushes and minor tear on one. Stand12 inches.